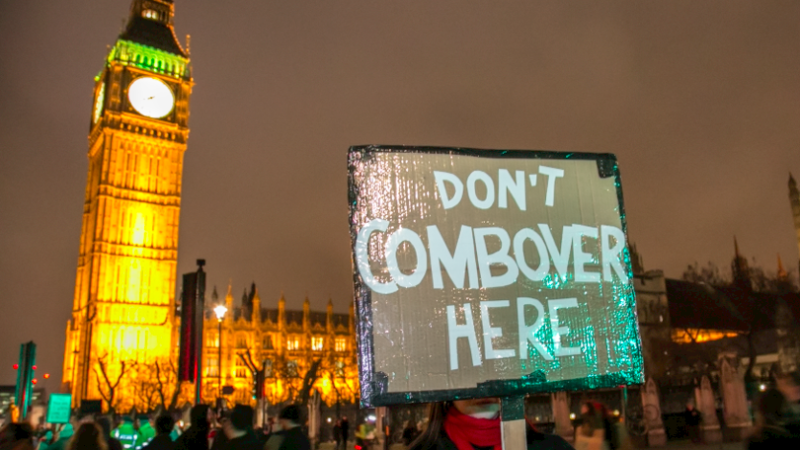 Thousands of people are set to protest during the US President's visit to London. The shadow home secretary explains why she can't help but sympathise. Theresa May is likely to extend a warm welcome the Donald Trump during his whistle-stop visit to this country, but it is not one that any millions of her fellow citizens would offer to the US President. A number of people in my own constituency and others have expressed their strong views to me. Their judgement is that Donald Trump is a misogynist. He stirs up racial hatred and defends Ku Klux Klan supporters and other fascists. He seems intent on launching a trade war against friend and foe alike. He is climate change denier who has walked away from the Paris climate deal. His is a bully, who is attempting to intervene in NATO countries to fund his own plans for a larger military. But perhaps the true nature of Trump in the domestic sphere is his treatment of migrants. He has been justifying his own policy of breaking up families and keeping children in cages. First, it was the Democrats’ fault because current laws were not to his liking. Then, it was still everyone else’s fault when he was forced to end the policy, but not reverse it. Thousands of families remain sundered apart and children seem to have gone missing in the process. Donald Trump’s politics is a politics which revolts millions of people in this country. And many of them are bound to protest against his visit. The US has a long and terrible history of mistreatment of the black population, and more recently people of colour generally. Trump makes no pretence of fostering unity, still less that the US is a ‘post-racial society’. The other rich Western nations now find themselves in the unnerving position of having to deal with a US President who does not offer largesse, but trade tariffs, more CO2, and demands for increased military spending. A president whose outlandish tweets are political interventions aimed at undermining elected governments and elected officials, such as our own Mayor of London, Sadiq Khan, who seems to be guilty in Trump’s eyes simply of being elected while Muslim. The US is still the most powerful country in the world. And Labour in government will want amicable relations with all countries. But that doesn’t mean going along with Trump’s politics, or Britain’s own version of family break-ups. It does mean standing up for our own interests, and the interests of decency and humanity in our relations with him, any of his successors or any political leaderships that pursue such vile policies. The far-right is already using on the occasion and holding a demonstration in London in support of Donald Trump’s visit. Tommy Robinson’s supporters are set to descend on the capital on July 14 and spread their own blend of bile and ignorance. We must take a stand and protest Trump’s draconian policies, and stand up to prejudice and violence wherever it rears its ugly face. On July 13 and July 14, people will come together to defend a society where there is no space for racism or Islamophobia, anti-Semitism or xenophobia, misogyny or homophobia, hatred and division. Trump’s politics are not welcome here!